No snake oil at Multimedia Business Solutions ! Search engine optimization is the process of improving the volume or quality of traffic to a website from search engines via “natural” (“organic” or “algorithmic”) search results. 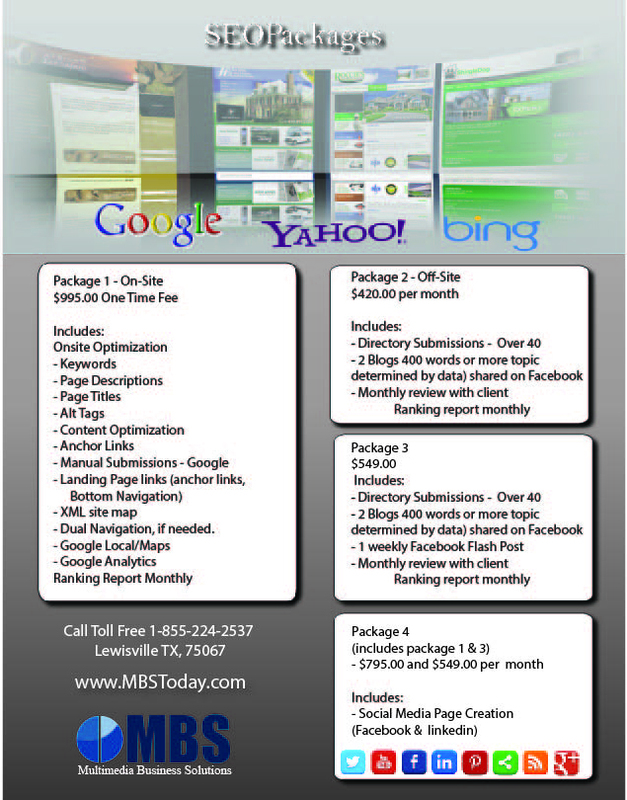 At Multimedia Business Solutions , we utilize proven search engine optimization techniques that will help your website get top placement. 1. We look at how the site is built. The site must have a strong balance of form and function. Google offers design and content guidelines and actually suggests to us how a website needs to be built. They offer these webmaster guidelines for free. Look them over and if you need help implementing their recommendations let us know. There are over 10 key elements on a site that need attention including page titles, alternative text tags and site map. Click here to learn some basics about Page Titles and Descriptions. 2. We focus on link building. Search engines consider the number of inbound links when ranking a site. Links are like votes. The more votes the better. So you want as many websites linking to you as possible. If you want higher rankings then get more high quality inbound links! Create a useful, information-rich site, and write pages that clearly and accurately describe your content. Think about the words users would type to find your pages, and make sure that your site actually includes those words within it. Search Engines will rank your site higher if the content grows periodically and is updated. If you have not touched your site in over a year dont expect to have a higher ranking than a competitor who is updating content and posting new pages on a regular basis. A website is like a garden…spend a little with it each week watering and weeding …. it will grow and flourish. If you don’t touch it and just let it sit there..it will die and become irrelevant. What are you doing to encourage repeat visitors. A very effective way to increase traffic is to give visitors a reason to return and check back with you. Offering fresh new content on a regular basis will encourage repeat visits. 4. We take a look at the things you are doing outside of your website to drive traffic. Does your general marketing drive customers and prospects to your site. Do you have your website address on your everyday marketing materials? We look at the use of social media such as Facebook, Blogging, Twitter and Linkedin. These powerful tools can not only drive traffic to your website but help improve credibility and boost reputation. Search engines index the content on these sites and your business Facebook page, Blog, etc can show up as a search result. Here is a great example. Go to Google and search for “orthodontist, lake highlands, tx”. You should see Dr. Greenberg’s Facebook page showing up with a number one organic ranking. Facebook has 350 million users and growing so there is a strong chance that when they see the Facebook logo on your site linking to your business Facebook page they will click on it. But beware…once they click… you better be ready to deliver value. Check out how we are using our Facebook page. Our goal with Facebook is to establish credibility and show that we are serious about what we do. We hope to have clients interact with each other and to provide value tips and interesting announcements. More to consider: A site that is built on a solid foundation will give you a fast start. A well prepared SEO strategy that employs link building, keyword optimization, geographically specific landing pages and strong content, to name a few, will deliver results. Blogging and other social networking groups can help you drive traffic and increase your site’s relevance. 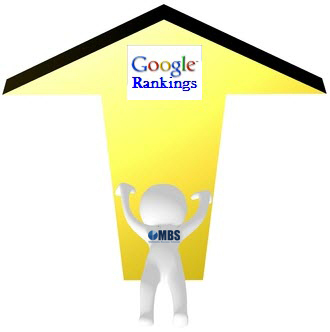 Getting top rankings involves regular maintenance. Your website must become a living and breathing entity that grows. Let us help increase your online visibility today!